A Georgia state court has ruled that financial advisors must give employers advance notice before moving firms — even when their firms belong to the Protocol for Broker Recruiting, the industry accord that allows departing advisors to take some clients with them without threat of lawsuits, according to Bloomberg. The case involves four advisors who left Aprio Wealth Management for Morgan Stanley in 2014, the news service writes. The brokers had previously signed agreements with Aprio, at the time known as HA&W Capital, that they would give 60 or 90 days’ written notice about jumping ship, according to Bloomberg. But the advisors announced their departure to Aprio’s CEO Richard Kopelman at noon on a Friday, quit immediately and by the end of the day reached out to almost all of their former clients to lure them to come to Morgan Stanley, Kopelman tells the news service. Cary Ichter, Aprio’s lawyer on the case, tells Bloomberg that evidence showed Morgan Stanley assuring the advisors the Broker Protocol would protect them from having to abide by the requirement to give advance notice. But presiding Judge Christopher McFadden of the Court of Appeals of the State of Georgia ruled last week that “the protocol does not categorically invalidate notice provisions in employment agreements,” according to the news service. The ruling only applies to the state of Georgia but it could be used by other courts as well as industry panels for similar cases, Bloomberg writes. “You can assume this decision’s going to be cited a lot, in Finra and in court,” Dennis Concilla, an attorney who runs a website that tracks the protocol, tells the news service. Kopelman tells Bloomberg the firm is “really pleased” with the ruling. “We think it’s a very meaningful decision for small and midsize firms, especially for registered investment advisors that can feel confident they’ll be protected from poaching like happened to us,” he tells Bloomberg. 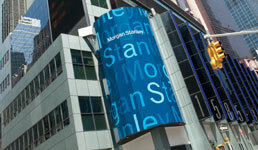 A Morgan Stanley spokeswoman declined comment to the news service. The company was the first large wealth management firm to withdraw from the Broker Protocol late last year, followed by UBS. Both firms have been aggressively going after departing advisors ever since, making it more difficult for advisors to jump ship.